Lee Patterson lives and works in Prestwich, Manchester, UK. 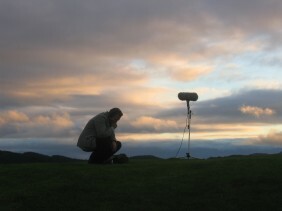 Drawing upon his parallel practice of sound recording as a form of training for the ears, he performs live with a selection of amplified devices and processes. From rock chalk to springs, from burning nuts to vibrating metal, he plays with objects otherwise considered mute. His works have featured on UK TV, BBC Radios 3, 4 and 6, Resonance FM and on radio stations worldwide.